Decorating Easter eggs is one of my favorite craft projects each year. We get messy in the kitchen, and in the craft room. Hi! I’m Kim Byers of The Celebration Shoppe. 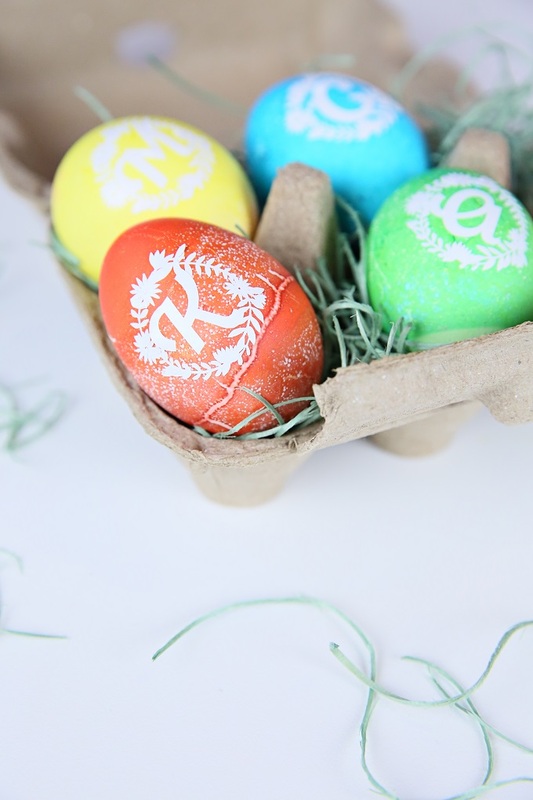 Let’s get cracking and I’ll show you how to decorate some eggs! 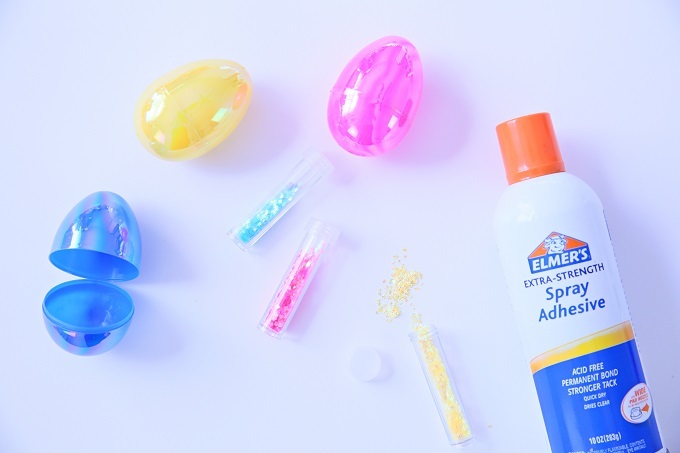 I have five ideas for you, from decorating real eggs to decorating wooden eggs, to decorating plastic eggs. First up is my monogram Easter egg. These are dyed the traditional way and perfect for place settings at Easter brunch. Plus, they’re oh so easy to make. 1. Select a monogram in Design Space, measure the length and width of the eggs, size monogram. 2. Cut the monogram from vinyl, weed and apply to the egg. Some designs require more weeding than others, but usually, when the item is so small, it can be placed by hand without transfer tape. Now let’s move on to wooden eggs. My second idea is a classic bunny silhouette. They’re just so darling! 1. 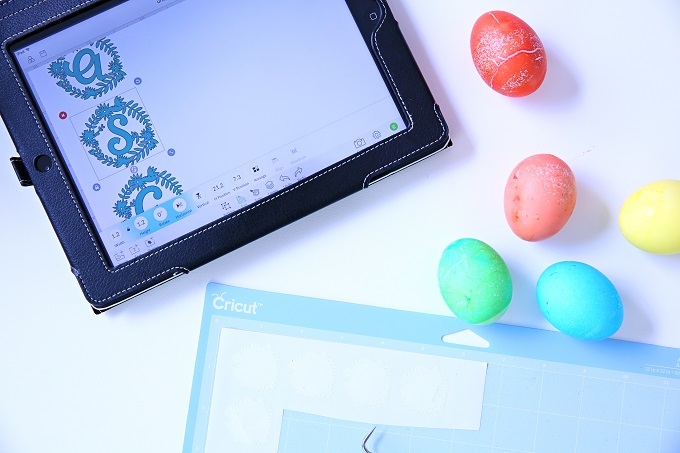 Select a bunny in Design Space, measure the length and width of the eggs, size design. 2. Cut the design from glitter vinyl, weed and apply to the egg. Some designs require more weeding than others, but usually, when the item is so small, it can be placed by hand without transfer tape. 3. Attach mini pom with glue. Dries in about 10 seconds. Another great wooden egg idea, color block! Thin painters tape makes this craft quick. 1. 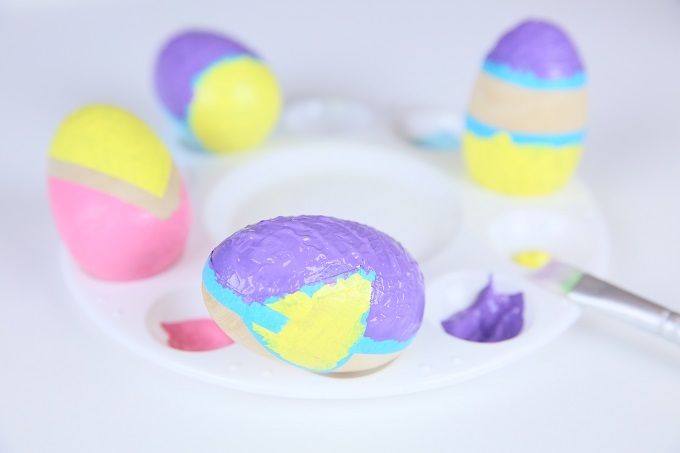 Tape each egg in a variety of shapes. 2. Paint and allow to dry. 3. Remove painters tape and clean up any edges. Let’s end with a few plastic egg ideas. My fourth egg is an oversized glitter covered egg. My best advice for this craft is to use spray adhesive glue. 1. 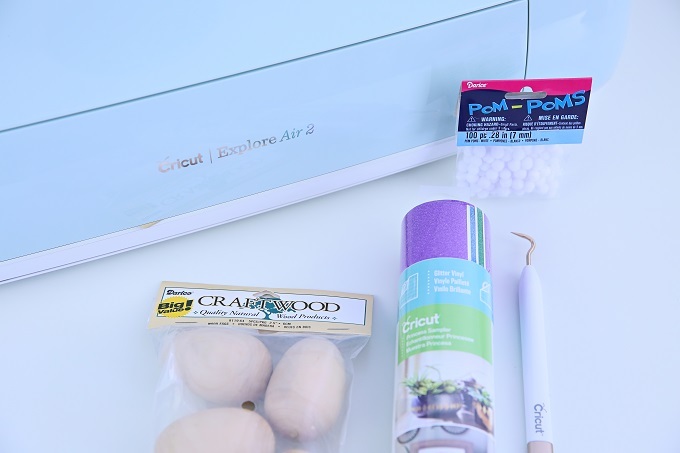 In a well-ventilated space, preferably outside, spray each egg with glue. 2. 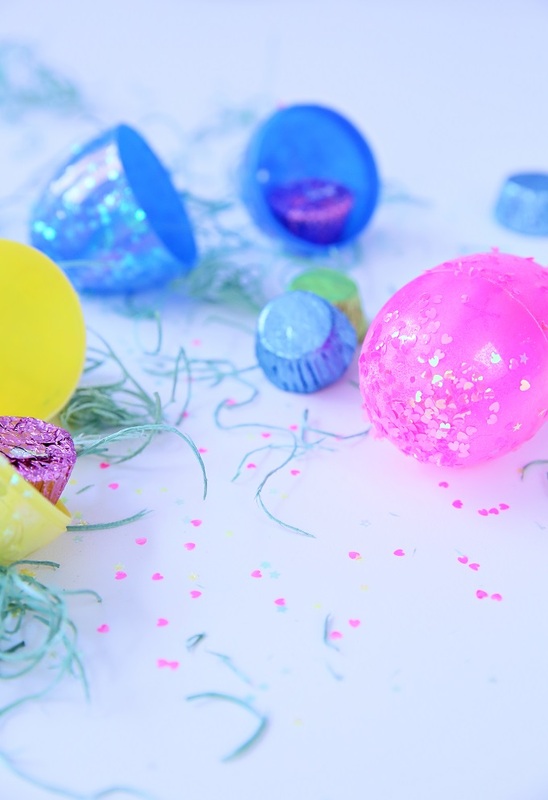 Quickly shake glitter on the egg. 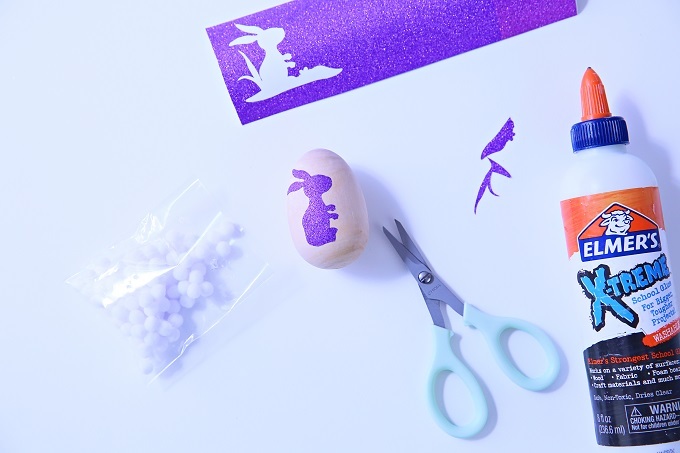 Tip: Shake glitter over wax paper to catch the glitter. 3. Using fingers, sprinkle remaining glitter in spots not covered. 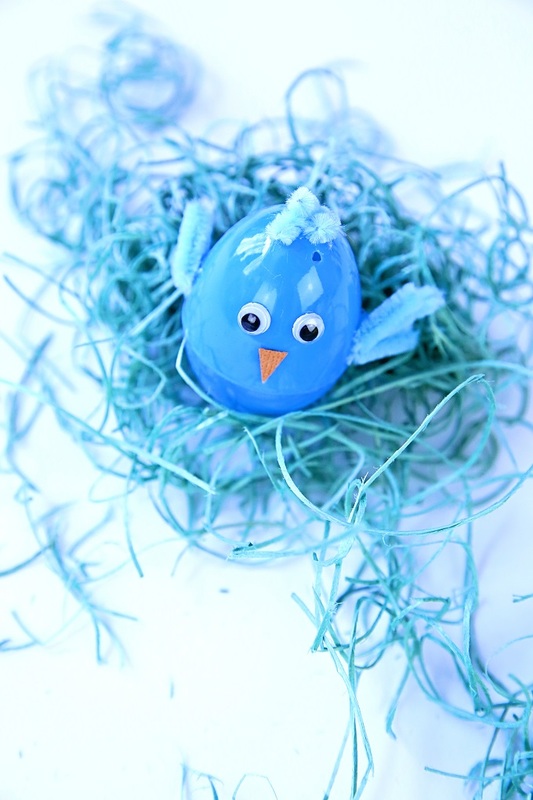 For my final Easter egg, let’s make baby blue birds! 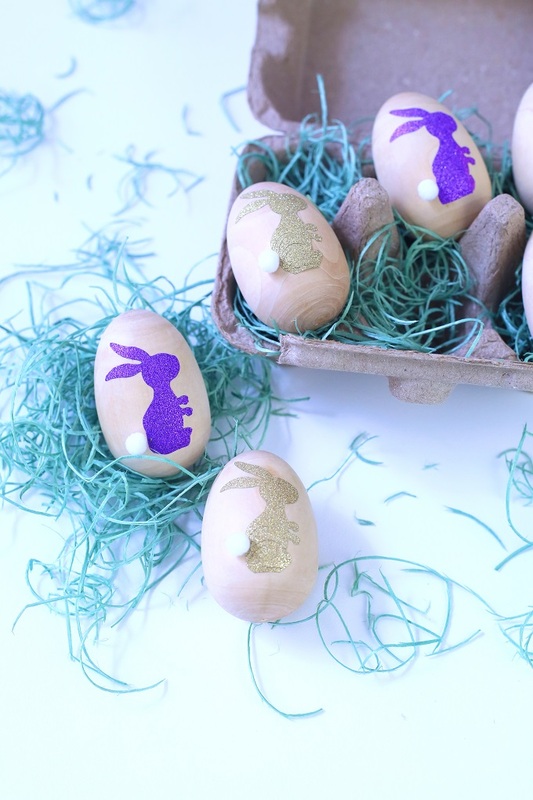 These could be darling as a centerpiece for a children’s Easter egg hunt! 1. Wings – snip six pieces of coordinating stems for the wings. 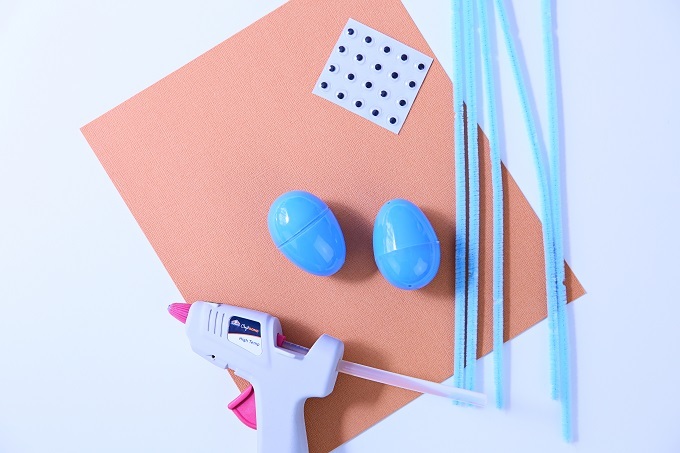 Bundle, add a touch of hot glue and attach the egg. Once dry, snip a bit off of the top and bottom wing stems so that the center stem is longer. 2. Hair – snip three small pieces and attach to the top of the egg with hot glue. 4. 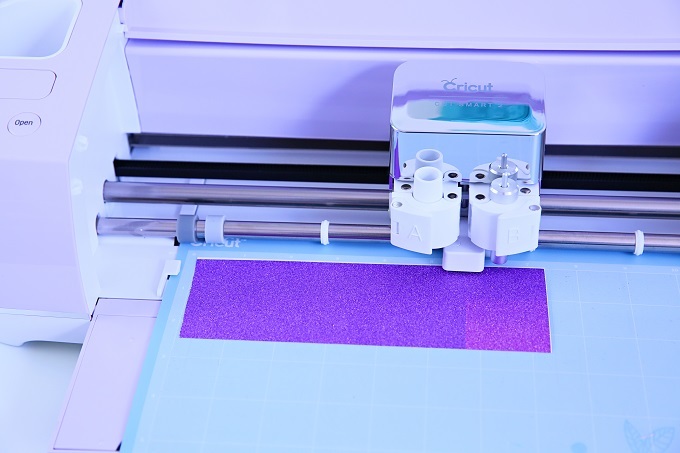 Beaks – cut a small triangle from orange paper and apply with a dot of hot glue. 5. Feet – snip a long piece and two short. Assemble to the end of the long, slightly slanted, with hot glue. Attach to bottom of the egg. As always, I hope you’re inspired to craft, bake, create and celebrate with Jo-Ann!